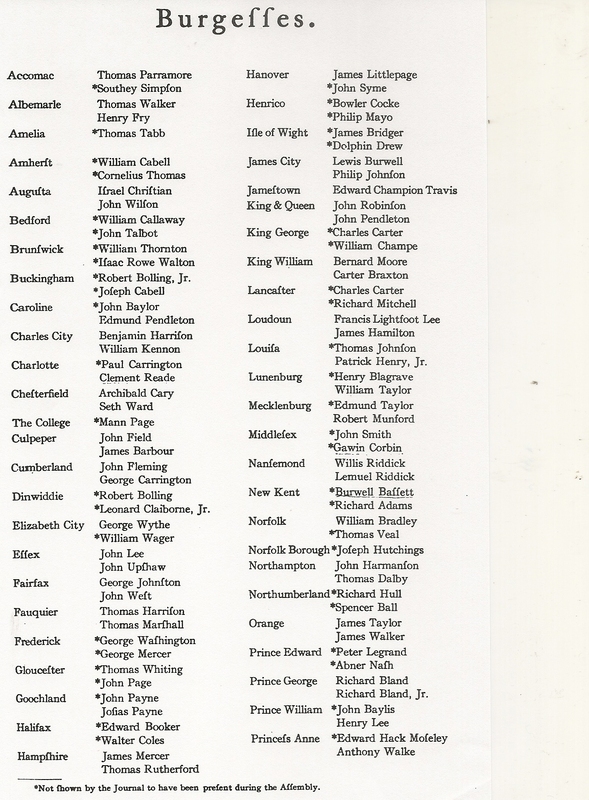 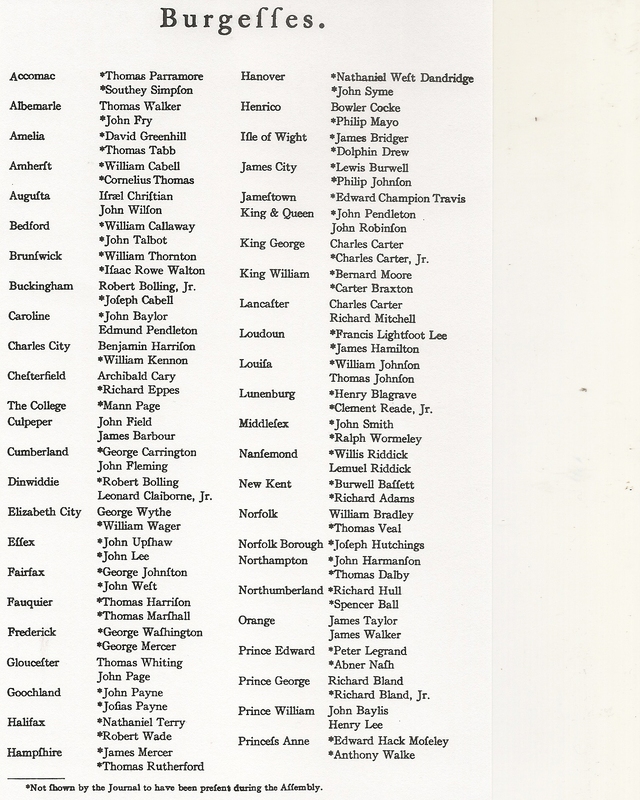 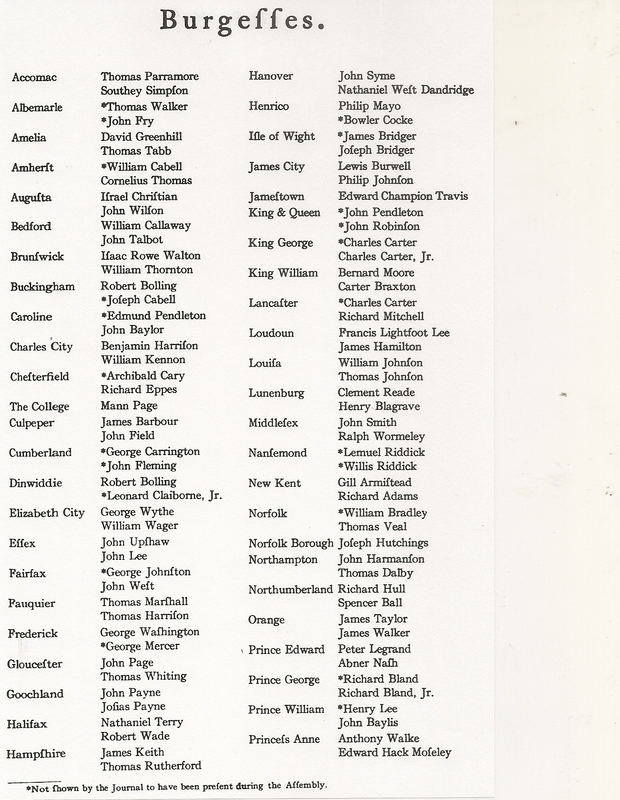 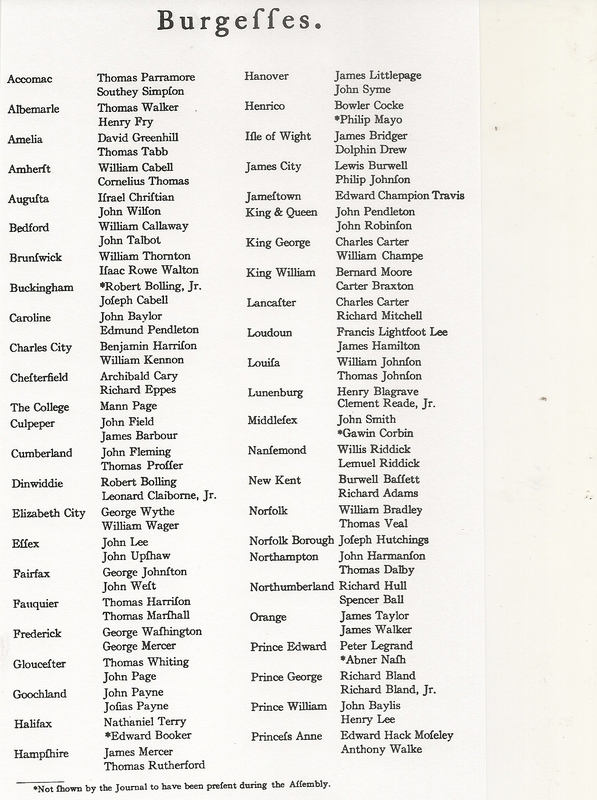 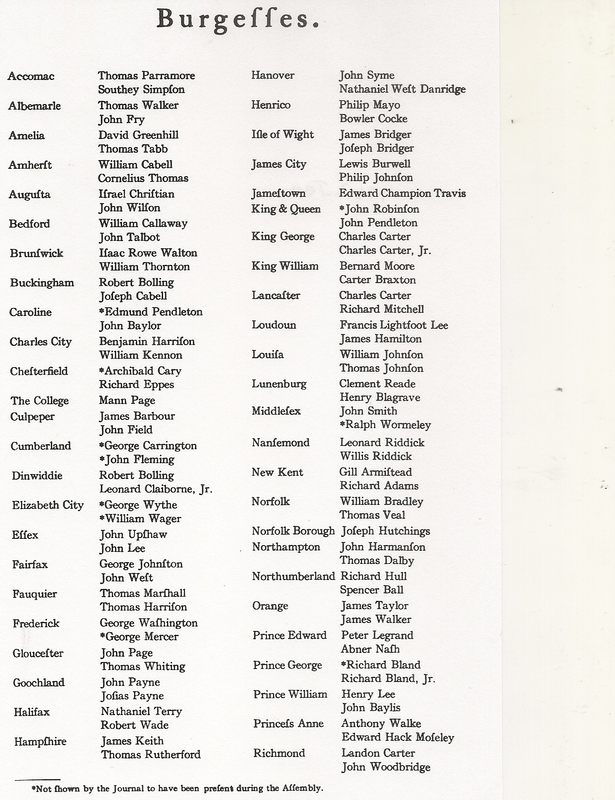 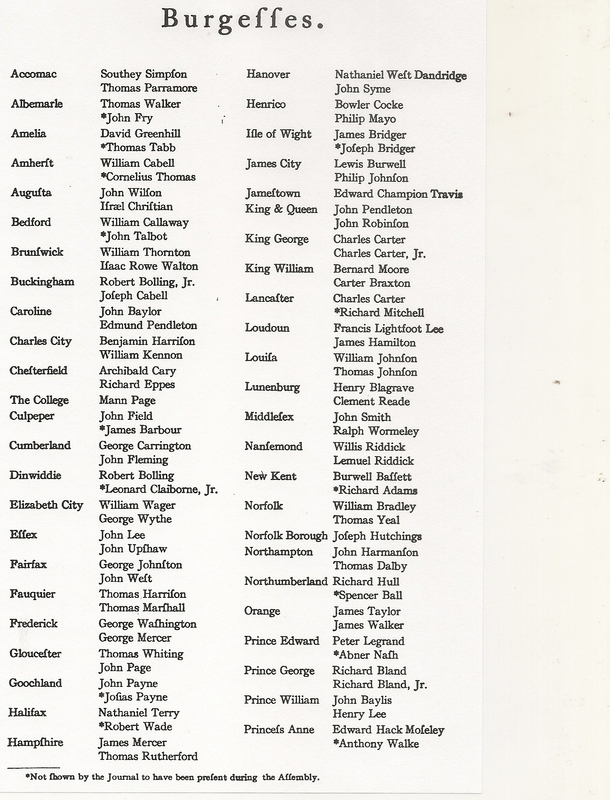 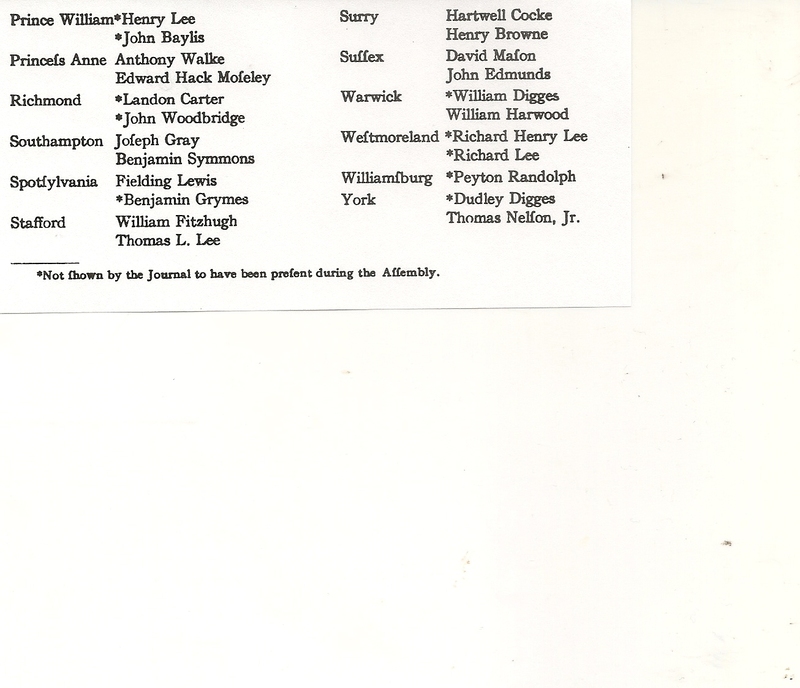 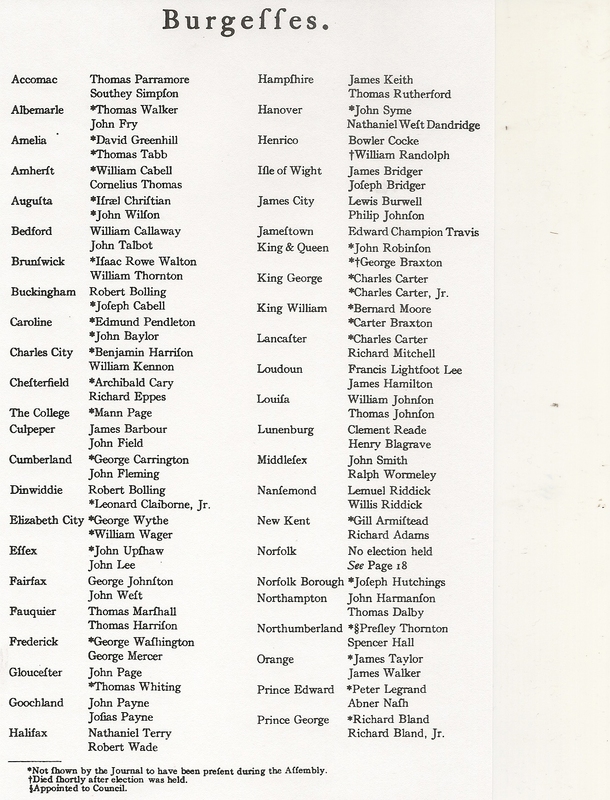 Put together in one post for your convenience, this is a list of members for the House of Burgesses. 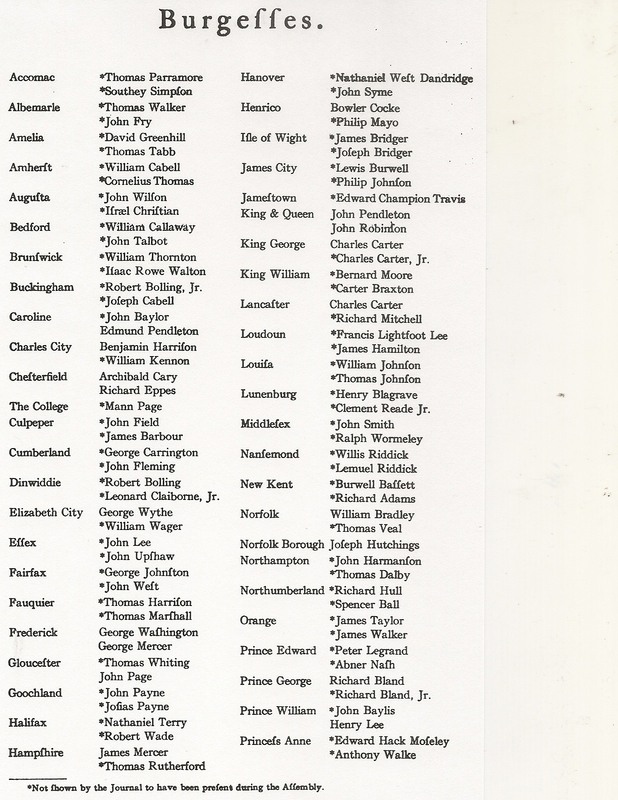 Lots of names. 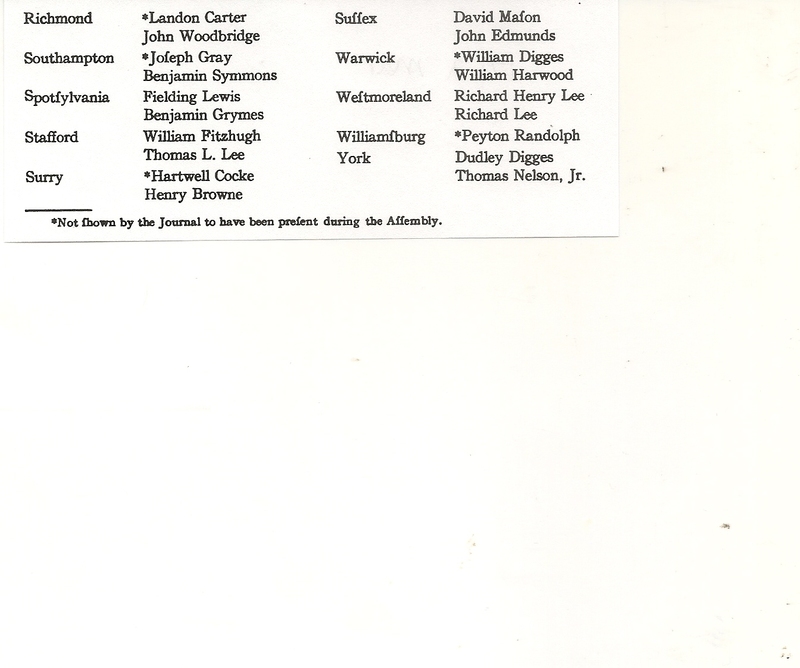 Great for research. 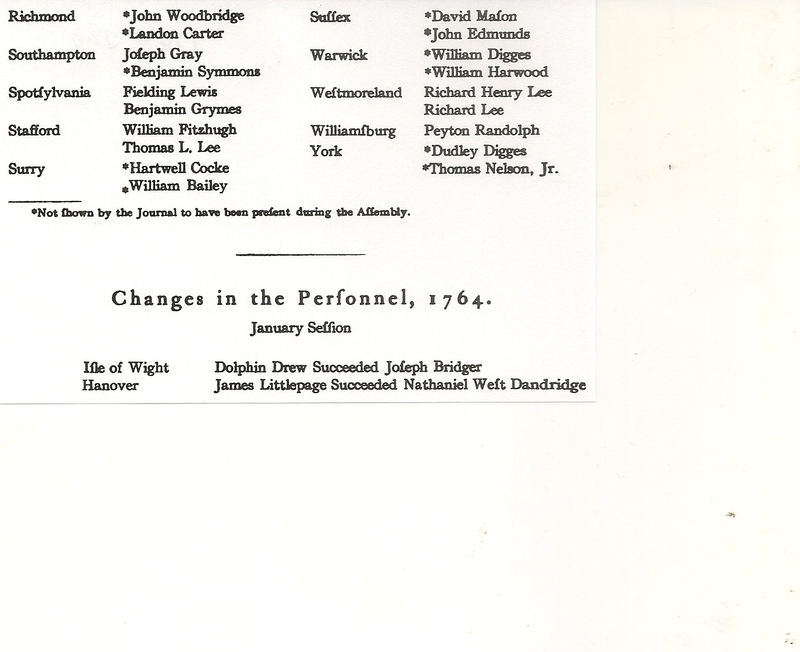 George Washington appears in the lists for the first time. 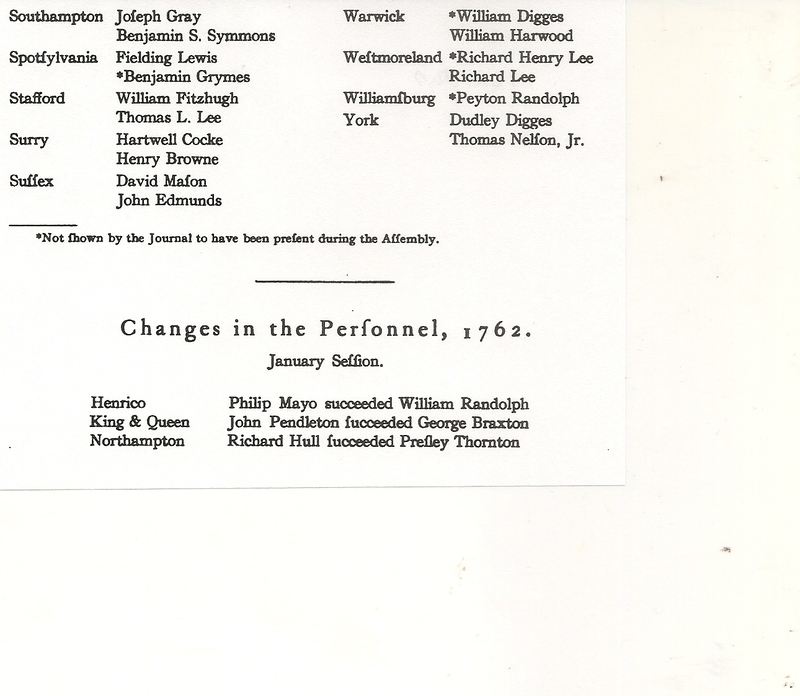 This old print version uses “f” for “s’ inside word. 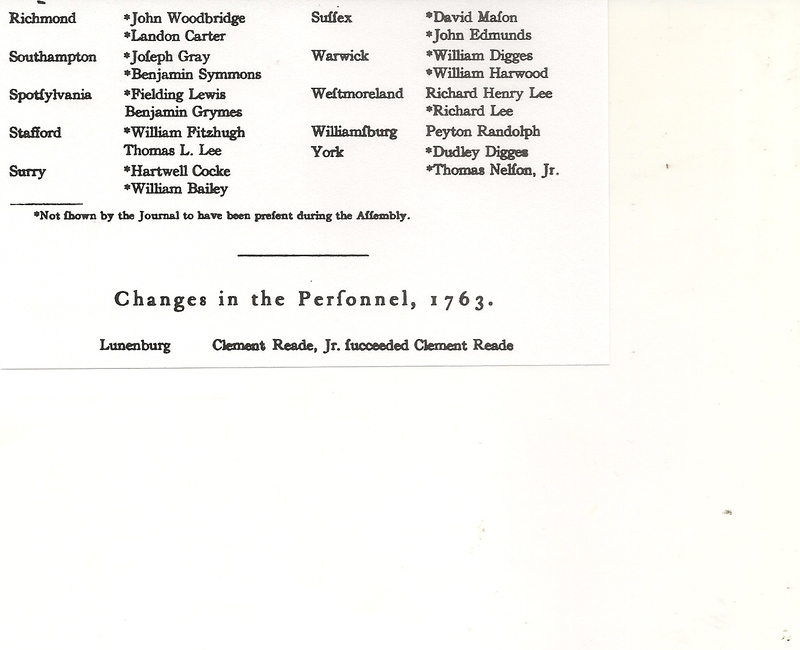 In all the years listed here, George Washington is in Frederick County. 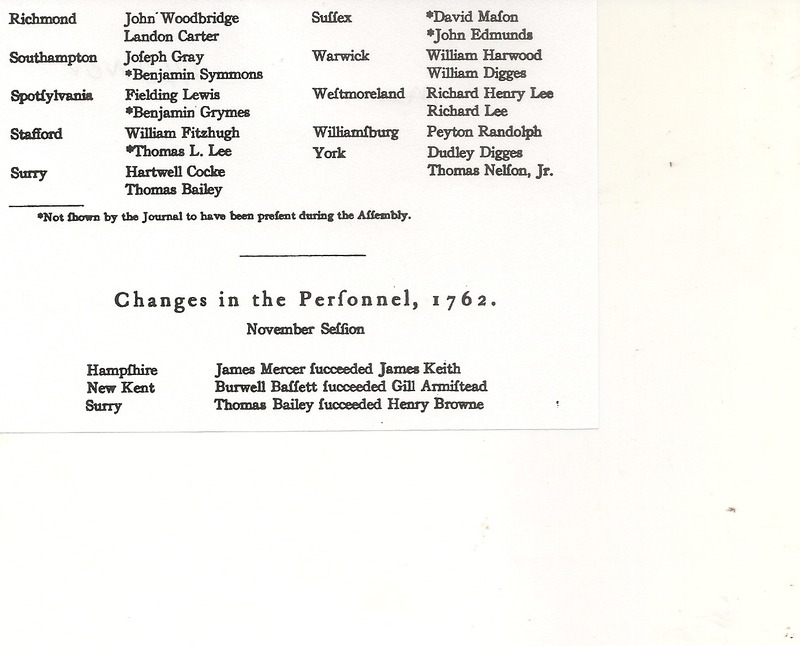 For more information about him, click on George Washington’s Royal Lineage, George Washington’s Direct Lineage in Virginia, and George Washington’s Will, Investments and Landholdings. 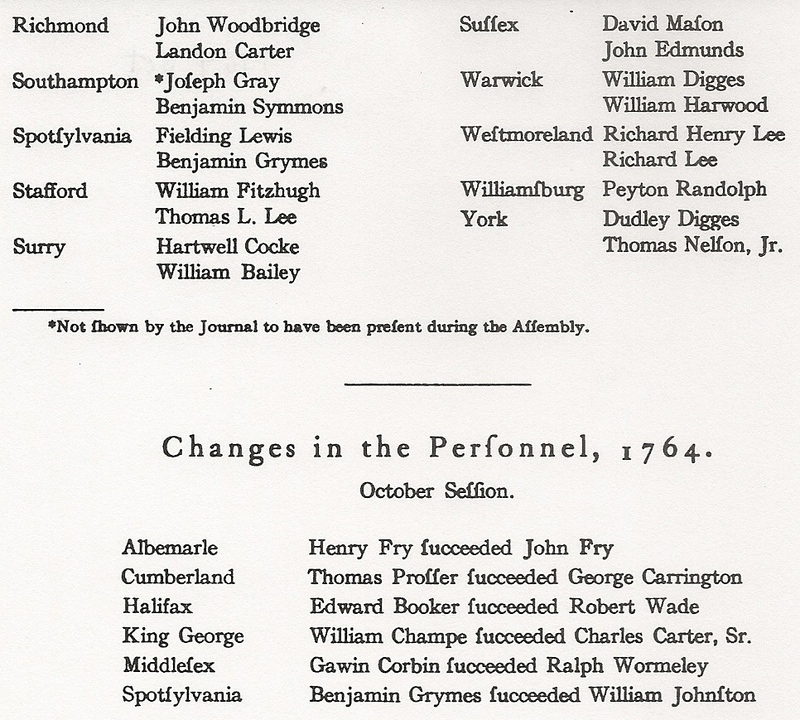 George Washington’s Will, Investments and Landholdings. 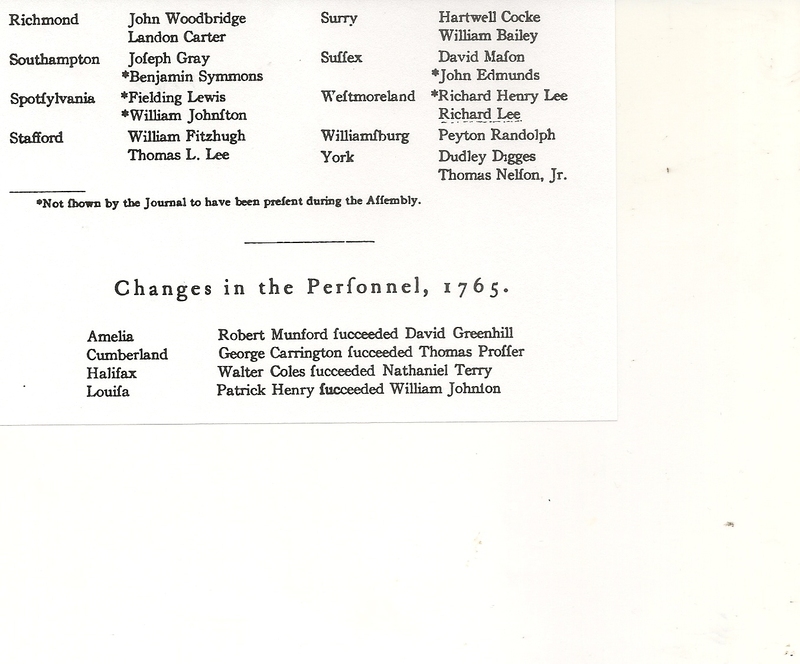 Journals of the House of Burgesses of Virginia 1761-1765, edited by John Pendleton Kennedy (Richmond, 1907).